BASE and Brown Bag Films previously partnered on the hit Disney series ‘Vampirina’. 9 Story Media Group has acquired PT Bali Animation Studio and PT Bali Animasi Solusi Ekakarsa (collectively known as “BASE”), a full service CGI animation studio located in Bali, Indonesia. Founded in 2015 by Lily Wang and Daniel Harjanto Setyawan, BASE provides high quality animation work for clients around the world and employs 270 personnel. Terms of the transaction were not disclosed. Known for its full-scale creative, production and international distribution capabilities, 9 Story Media Group employs more than 800 staff with operations in Toronto, New York, Dublin and Manchester. Its award winning animation studio, Brown Bag Films, is recognized internationally for hit children’s series such as ‘Doc McStuffins’, ‘Daniel Tiger’s Neighborhood’, ‘Top Wing’, ‘Octonauts’ and ‘The Magic School Bus: Rides Again’. Since its inception, BASE has established a solid reputation as a high quality and reliable animation studio. BASE’s production portfolio includes the popular animated television series Sonic Boom and Luna Petunia. 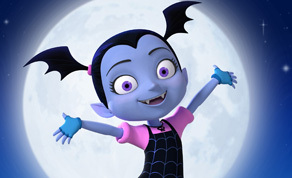 In addition, BASE and Brown Bag Films have previously partnered together on the hit Disney series Vampirina. The acquisition of BASE will enhance 9 Story’s production capabilities, expand its global footprint and increase its worldwide head count to more than 1000 personnel. Co-founders Lily Wang and Daniel Harjanto Setyawan will stay on to lead BASE going forward and will report to 9 Story’s Chief Operating Officer Cathal Gaffney. The company’s international distribution arm, 9 Story Distribution International, is based in Dublin and represents more than 3,600 half-hours of animated and live-action programming.